Wilkins RV is a New York RV Dealer located in Bath New York which is about an hour North of Corning New York and an hour South of Rochester New York. 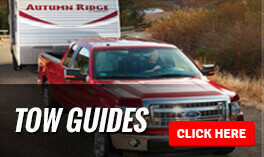 As a RV Dealer in New York we offer RV Sales of New RVs, Used RVs, and RV Specials. We dont just offer RV Sales but we also help out customers after the sale with RV Service and RV Parts. Here at Wilkins RV we also offer RV Financing to help get you a great deal an put you in the RV of your dreams. Please feel free to Contact Us with any questions you might have. For over three generations the Wilkins RV motto has been: "We offer a huge selection of top quality RV's at the right price." Wilkins RV is a proud dealer of new and pre-owned motor homes, travel trailers, fifth wheels, toy haulers, and tent campers from top names like Heartland, Forest River, Grand Design, Newmar, Pleasure Way, Coachmen and more. In 1936 C Wilkins Used Cars was founded as an auto detailing shop by Charles (Charlie) Wilkins. Originally, located in Hornell, New York, Charlie started selling RV's in the 1950's. Charlie,s son, Ron Wilkins, took over the business in the early 1960's, changing the name to Wilkins RV and began selling iconic RV brands like Coachmen, Shasta and Mallard. In 2004, Ron Wilkins sold the business to his son, Brian Wilkins. Quickly outgrowing the facility in Hornell, New York, Wilkins RV built a new state- of- the art facility and moved the dealership to its current location in Bath, New York. The 50,000 square foot facility sits on twenty-five acres, includes twenty service bays, a 14,000 square foot air-conditioned show room, over 3,000 square feet of parts and accessories and eight campground style hook-ups in case you are looking to spend the night in your RV. In August of 2011, Wilkins RV opened a second location, in Churchville, New York. This location was expanded in the Spring of 2016 to its current 40,000 square foot facility, consisting of sixteen service bays, 12,000 square foot showroom, 2,000 square feet of parts and accessories and six campground style hook-ups for overnight stays. In January 2017, Brian Wilkins acquired Ballantyne RV in Victor, NY and Caps and Campers in Cicero, NY to expand Wilkins RV to four locations. This expansion allowed Wilkins RV to better serve Western NY and now the Syracuse, NY area! With a passion formed by a proud heritage spanning three generations in the RV industry and the community, your Wilkins RV team offers endless opportunities for families to build enduring memories by providing exceptional experiences. At our four locations in Bath, NY, Churchville, NY, Cicero, NY and Victor, NY, you will find a comfortable place to browse, specialized RV service and fully stocked parts and accessories stores. Best of all you will find a friend in the RV business. Wilkins RV facilities are centrally located and proudly serve the cities of Bath, Elmira, Corning, Churchville, Olean, Rochester, Syracuse, Buffalo, New York and Northern Pennsylvania. Bath, New York, exit 37, the Kanona/Prattsburg exit, off Interstate 86. Churchville, New York, exit 3, the Churchville exit, off Interstate 490. Cicero, New York, exit 36, the Cicero/Bridgeport exit, off Interstate 90. Victor, New York, exit 29, the Victor Route 96 exit, off Interstate 490. There's no greater time to buy than now and no better place to buy than Wilkins RV.